This post on video content marketing originally appeared on The Video Experts blog and is found here by courtesy of Steven Fowler, owner of The Video Experts, a multiple award winning commercial video production company based in East Windsor, CT. Thanks Steve! Running a successful business has many challenges as well as many rewards. One of the challenges may be marketing your product. You have confidence that what you are selling is valuable to others and you have invested your time and resources into making it the best. Now you have to market it. Although you have an idea who your target audience is, you want to be assured that your marketing budget covers a broad base and you get the most bang for your buck. One way to do this is through the use of a video. 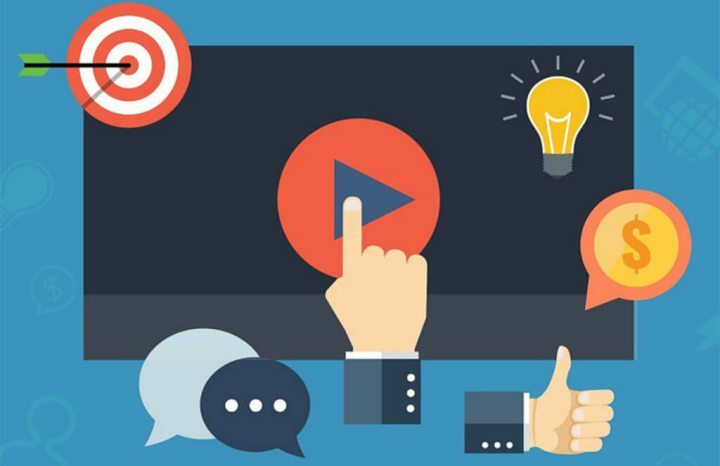 Video Content Marketing engages your customer and enables you to connect with your customer as opposed to using just a two-dimensional ad. Content Marketing allows you to share only quality content and cuts through all the junk to feature the best of you and your company. You do not want to sacrifice quality for quantity. A short informative and entertaining video is much more effective than a long dull one. You will lose your audience thus defeating the purpose of the content video. Become a storyteller. Highlight the best of you and your company. There are many resources you can utilize to accomplish this. Testimonials, clips of some of our work and you. No one can tell your story like you can. Make it your own! Let your audience see you and connect with you. Don’t try to “BS” them, most can tell if you are making stuff up. Be legitimate! Remember, the purpose of this video is not to be an infomercial or sales pitch. It is to engage your audience, draw them in, inspire them, make connections. So, provide them with a variety of ways to communicate and interact with you. Point and click is easy as well as effective. Use a video that showcases your personality. Leave them wanting more! Finally, utilize social media. The more outlets you display your content video, the bigger the feed back you will get. And that ultimately is the goal. You are using this video to find out if your product is valuable to more than one type of persona, to create a contact list for further marketing and to promote you! Don’t miss an opportunity to showcase the best of you and your product. Need Help with your Content Video? Contact Video Experts by pressing HERE.